Football Blog - focussing on the latest football news and rumours from around the world. 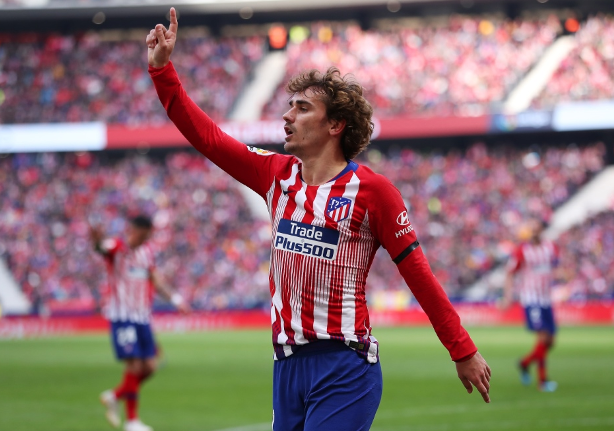 Manchester United have reportedly taken the lead in the race to sign want-away Atletico Madrid striker Antoine Griezmann, according to Spanish media outlet Sport. The Red Devils are the favourites to sign the France international who wants to leave the La Liga outfit in the summer, according to a report in Spain. The report adds that the Frenchman has been weighing up his long-term future at Los Rojiblancos following their Champions League eviction at the hands of Juventus last week. Manchester United have been heavily linked with a move to sign the 28-year-old forward in the past after the 20-time English champions were close to signing the Frenchman in the 2017 summer transfer window. Griezmann has scored 18 goals for Atletico Madrid in all competitions this season. Liverpool keen on Lyon midfielder Houssem Aouar? Man City emerge as frontrunners to sign Gremio forward Everton Soares? Liverpool to go after Memphis Depay?